At Fremont, California both the Southern Pacific and Western Pacific lines emerged from Niles Canyon and crossed at the tower on the left. The line across the bridge belonged to Southern Pacific, with the Western Pacific (Union Pacific since January 1) crossing at the tower at left. 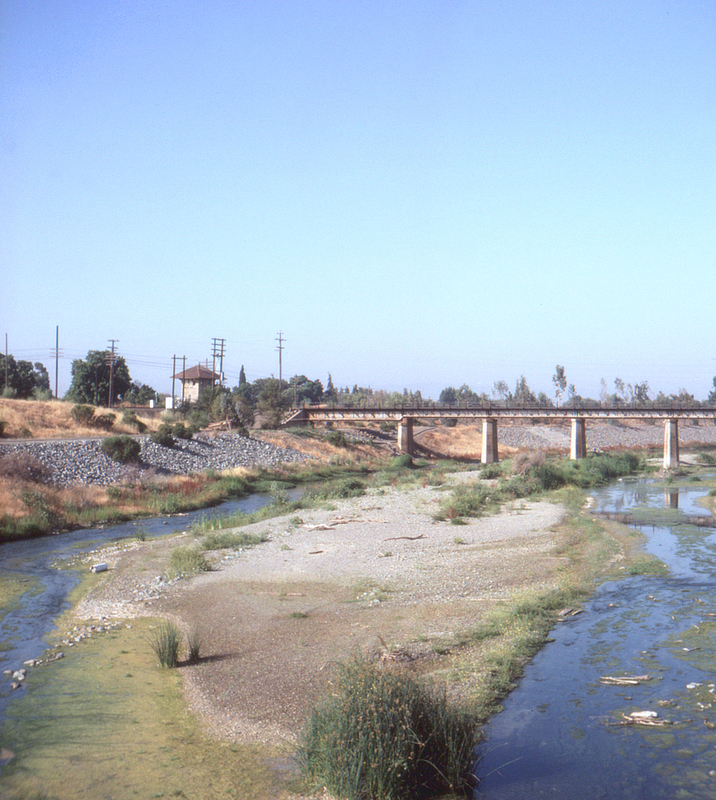 Below is Alameda Creek, in this view from the Mission Boulevard bridge.